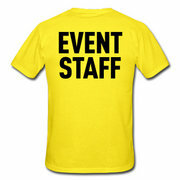 Need some help monitoring kids or working any of our party rentals? We now offer friendly attendants who are experienced with everything we offer. No job is too big or too small for us. Depending on the event it may be necessary for us to stay and make sure everything goes smoothly. Our attendants can help serve concessions, take tickets for inflatables, group kids according to age for jumping, or just make sure gas in a generator is always full. Rest assured, you are in good hands with us.